Royal DSM, the global Life Sciences and Materials Sciences company, will demonstrate how its materials have been used in some of the latest application innovations to be introduced to the market at NPE being held in Orlando, FL from March 23-27. DSM will highlight several of these solutions via speaker presentations at SPI and ANTEC as well as in their Customer Service Center in the West Hall, Room 225A. DSM’s leadership in polyamide 6 (Akulon®) and thermoplastic copolyester for thin film (Arnitel®) for flexible food packaging is helping customers to provide better solutions to the world’s rapidly changing food packaging needs, meeting the demand for food safety and reduced food and packaging waste. 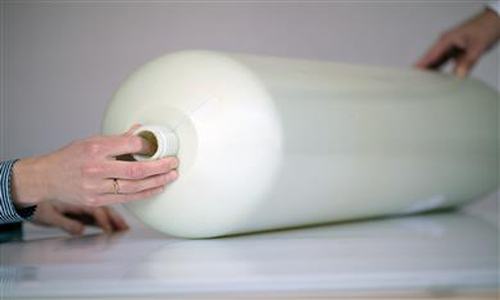 DSM recently made a breakthrough in polyamide blown film processing with Akulon® XS. Thanks to its improved crystallization properties, Akulon® XS has an extended processing window, providing new opportunities in designing co-extruded multi-layer as well as monolayer film structures. DSM has announced plans to build a new plant for high viscosity Akulon® polyamide 6 grades for film and other extrusion applications in North America. On display in the Customer Service Center will be thermoplastic composite gas tanks for Compressed Natural Gas (CNG) that the company is developing with a partner, a specialist in advanced thermoplastic composite vessels for a wide range of applications. Together with hydrogen, natural gas is claiming its place in the field of cost-effective and low carbon footprint fuels for use in automobiles. Tim Vorage, Global Incubator Manager DSM Engineering Plastics, will be presenting “Thermoplastic Composite Pressure Vessels” on March 25 during the SPI Business of Plastics Seminars. The presentation, which will take place at 9:30 in the West Building Level 4, Room W414D, will present a novel concept for the production of Type V compressed natural gas (CNG) tanks. DSM is leading the way in high performance engineering plastics for the electrical and electronics sectors. It will demonstrate the use of Stanyl® and Stanyl® ForTii for high performance DDR4 memory connectors. Michelle Brand, Marketing Director DSM Engineering Plastics – Americas, will present “Material Challenges and Solutions for DDR4 Connectors” on March 25 during the SPI Business of Plastics Seminar taking place in conjunction with NPE. The presentation will take place at 10:00 in the West Building Level 4, Room W414D and will address the development of various halogen free DDR4 sockets and the different options for the housing material. DSM also recently unveiled the next generation of Diablo high temperature resistant grades in its Stanyl® polyamide 46 and Akulon® polyamide 6 portfolios. These new Diablo grades are aimed at applications in automotive engine compartments such as air intake manifold, ducts and charge air cooler combinations, where temperatures can reach as high as 260°C. DSM is a leader in the development of high temperature resistant thermoplastics for automotive engines. Diablo technology, developed and patented by DSM, improves the long term temperature resistance of materials and has been applied to various types of polyamide.